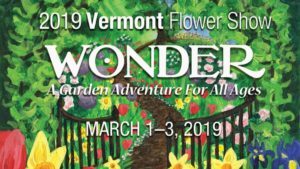 The Judges’ Council of the Federated Garden Clubs of VT will hold a Standard Flower Show, entitled Gardens of Late Winter Wonder. The show will be held during the Vermont Flo wer Show – March 1-3, 2019 at the Champlain Valley Exposition in Essex Junction, VT. 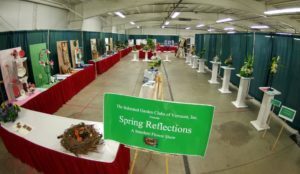 The show is held in conjunction with the Vermont Flower Show, sponsored every other year by the Vermont Nursery and Landscape Association/Green Works. In Gardens of Late Winter Wonder there will be four (4) Divisions: Design, Horticulture, Education and Youth. Amateur gardeners are encouraged to register to enter the Horticulture Division. We expect to have over one hundred (100) exhibits. It will be a great place to show off your gardening skills and even earn a ribbon. National Garden Club Accredited Judges will judge all of the plant material. Please contact Wendy Howard at 802.326.2098, Chairman of the Judges’ Council Flower Show or the Green Works Office at 802.425.5117 for more information. You do not need to be a National Garden Member to enter the Horticulture Division. All amateur gardeners are welcome. Entry day for Horticulture is February 27, 1:00 p.m.- 7:00 p.m. Entry cards will be available during entry times. There will be Garden Club members there to help you fill out your cards. More information will be included in the Horticulture Rules. Following the Rules are all of the Classes that you may enter. The rules for a single species cut or container-grown specimen are listed in the Handbook for Flower Shows or its supplement Horticulture Exhibiting and Judging. In order to receive an NGC Top Exhibitor Award, the exhibitor must identify her/his entry by its binominal name or currently acceptable scientific designation. Entry cards are to be filled out in advance if possible, preferably in pencil or waterproof ink. Address labels may also be used. Refer to the Handbook for Flower Shows, 2017 Edition, Chapter 6 for a correctly filled out entry tag. Cut specimens should not have foliage below the water line (exception Gladiolus). If a plant is considered a flowering plant, it should be exhibited as a flowering specimen. Foliage plants may flower, but should be exhibited as foliage plant if they are grown for leaves. The Horticulture Classification Committee Chairman and/or General Show Chairman are free to subdivide classes by color, form, size, cultivar, variety or other distinguishing characteristics. The Scale of Points for Horticulture is located in Chapter 14 of the Handbook for Flower Shows. All staging materials for cut specimens, vases and wedging material (bubble wrap), will be provided by the Committee. Exhibitors may make more than one entry per class or subclass if each is a different genus, species, variety, cultivar, type, size or color. All entries must be approved for conformance to the schedule and show worthiness by the Classification Chairman before placement by the Committee. Succulent Dish Garden, a miniature landscape, combination planter containing three (3) or more different succulents. Exhibitor provides a shallow container not to exceed 18” in diameter or 18” in length and width. Keycard is required. 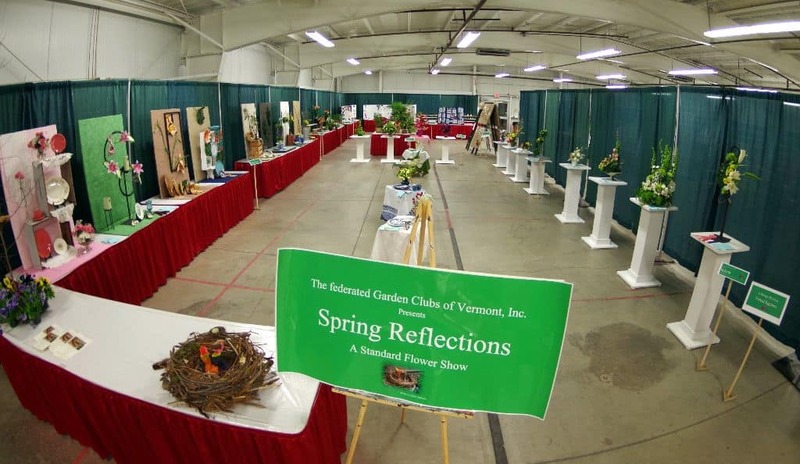 Pre-registration with Horticulture Entries Chairman Patty Lambert, (802) 933-6197 is required. Evergreen Branches, Foliage, Fruited or Coned. One cut specimen maximum length 30”, minimum length 12”. Each cut branch must include several nodes and an apical tip. Deciduous Branches. One cut specimen maximum length 30”, minimum length 12”. Each cut branch must include several nodes and an apical tip. Flower Show Competition is a learning and fun experience. We hope that you will join us!